Let’s face it: unhealthy foods often taste better than healthy recipes, which can often be quite bland. There’s hope, though. 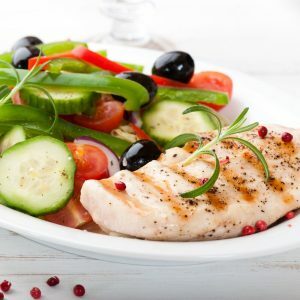 Using the tricks below, you can start adding more flavor to your favorite healthy recipes so that you can dig in and feel satisfied rather than deprived. Knowing how to combine certain ingredients can also be a great way to easily enhance the flavor of healthy meals. Here’s one example: if you struggle with eating dark leafy greens because they often have a bitter flavor, consider combining them with some healthy fats when you cook them. Their flavor can become mellower, making them easier to eat, and the fat will make the dish even more appealing. Plus, adding healthy fats to a meal can even help when it comes to your body’s ability to absorb the fat-soluble nutrients in the foods. Here’s another smart strategy: combine tomatoes with healthy fats. To really reap the benefits of the lycopene in tomatoes, cook them with a small amount of healthy olive oil. Not only will the tomatoes taste even better, but your body will really be able to make the most of the nutrients that they contain, so it’s a win-win. Have Fun Cooking Tasty, Nutritious Recipes! With the tips above, you can make a variety of healthy recipes taste even better, and you will be able to more easily take steps towards following a diet that will help you stay fit, slim, and healthy.